Lately, I have been getting increasingly more involved in creating packaging for parties. Usually my packaging involves the use of Photoshop to create customization products. 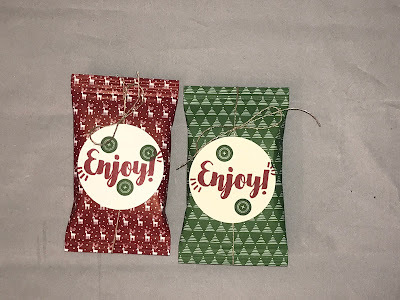 Then, I wonder if the same concept can be done using Stampin' Up! products and the answer is YES! 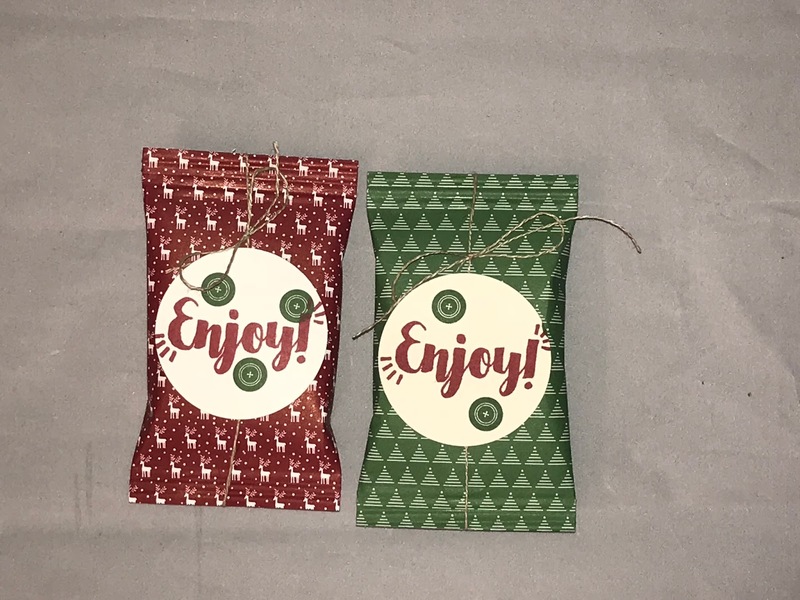 See how I put together this Fruit Snack wrapper using the Be Merry designer series paper and Tags and Trimming stamp set.